Xavier is very passionate but he is not blinkered by it. 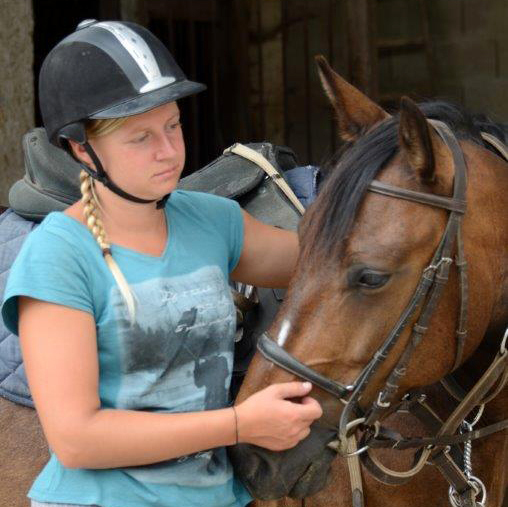 His goal is to create an equal relationship between man and horse, creating perfect harmony. Without a doubt this is what makes him different. He doesn’t just choose a horse for a rider but equally a rider for a horse. A rider doesn’t necessary feel at ease if the horse is not at ease. 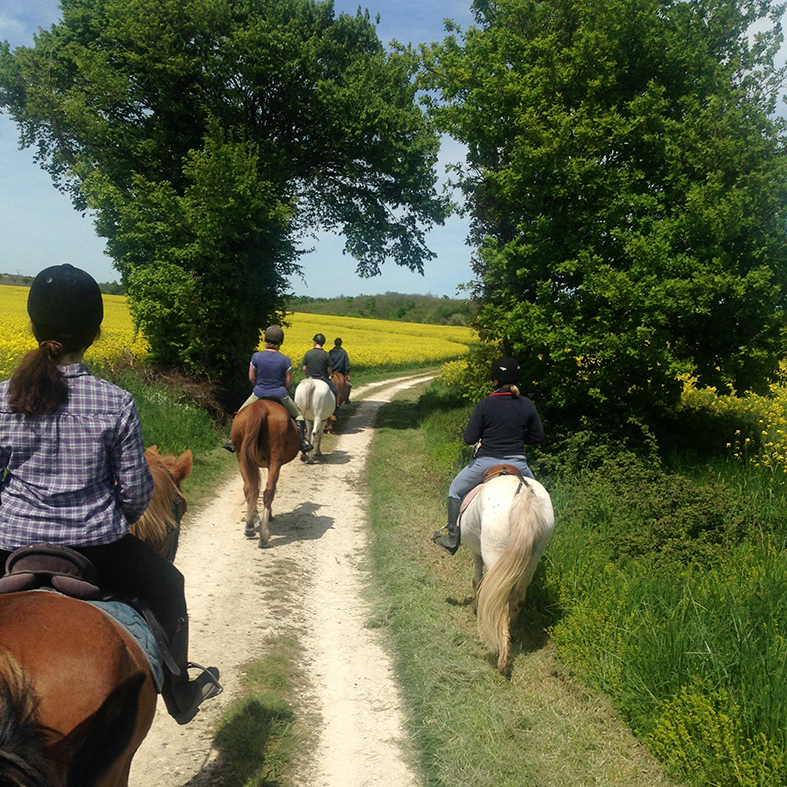 So you can completly enjoy your horse riding holidays with the whole family. If you ask Xavier when his relationship with the equestrian world started he will reply quite simply that it has always been. This passion evolved naturally and logically. Breeding, education, dressage and management but also the preparation for and participation in treks and competitions have been a daily occurrence since his earliest childhood. It is without doubt for this reason that he cannot separate his work from his life. His passion doesn’t stop at the stable door, it’s an integral part of his daily life. His horses are not like the tools mounted by the nets and tack. He knows them well, understands them end above all he loves them. His riding skills stem principally from his upbringing. 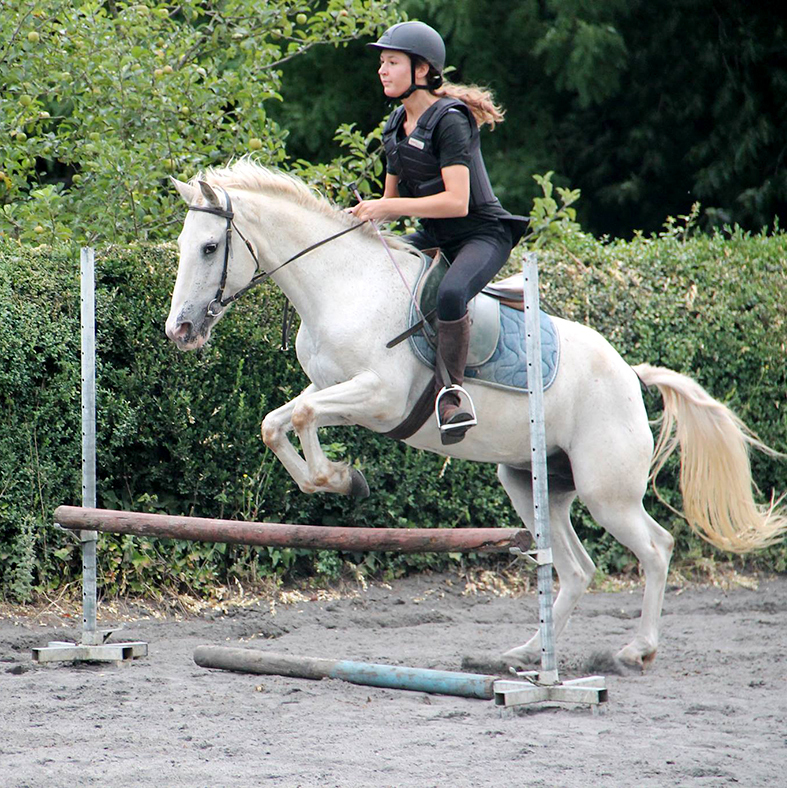 Thanks to a cross-breeding program over the last 30 years between French and Anglo Arab, this is his preferred breed of horse for its aptitude under the saddle and good nature. 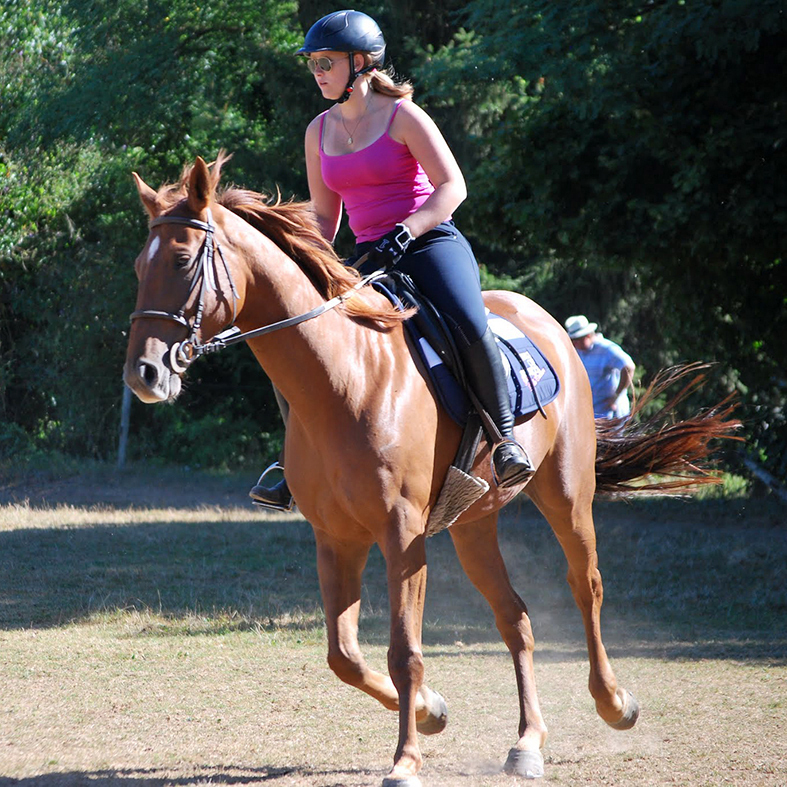 His horses will help you discover the pleasures of riding outdoors and with a bit of practice to reach a gallop of 1-7 (french certification system). 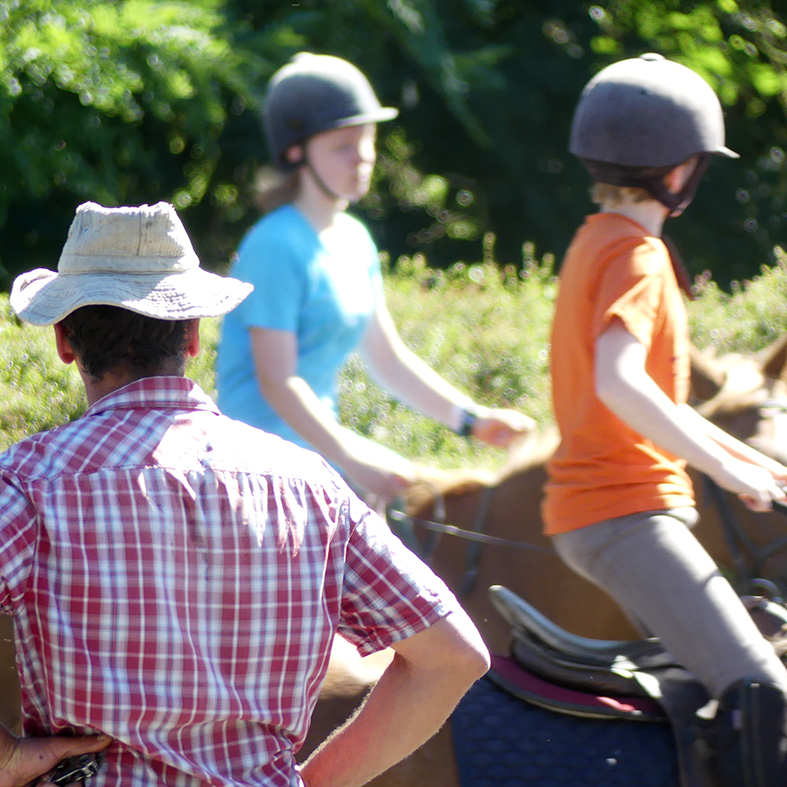 Xavier always takes the time to listen to his riders ensuring that you get what you are looking for when signing up for one of our equestrian holidays. Your stay is tweaked to fit your individual requirements. He has the natural ability and capacity to adapt to the level, the demands, the needs of each individual . The activities are organised according to each person. The courses are in small groups with individual tutoring. Usually Xavier spends the morning in tutoring or classical training. In the afternoons, after a rest, he concentrates on outings or other practice times (games, foot work, jumping etc.). 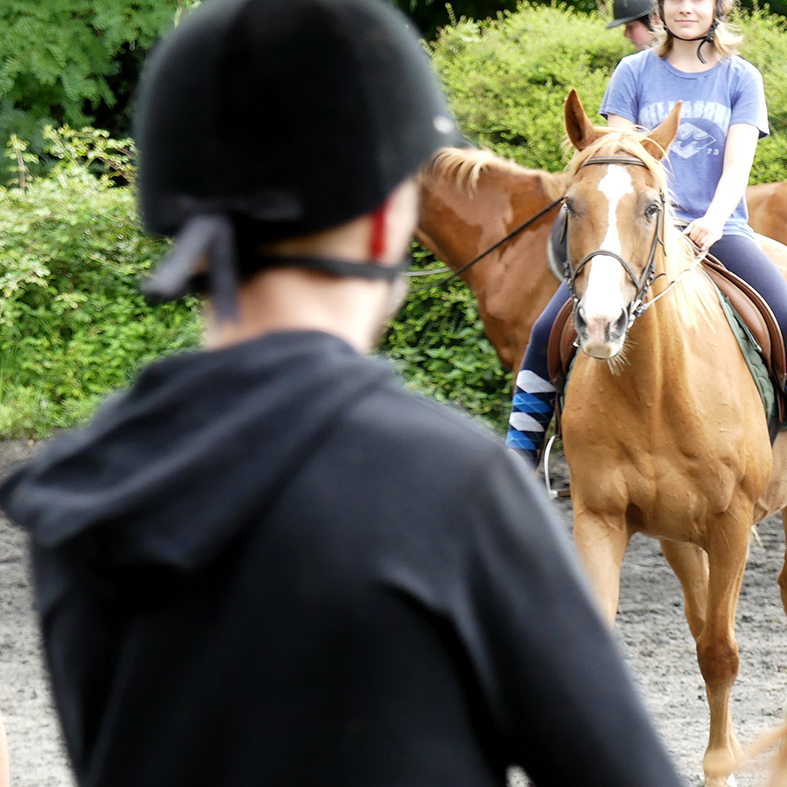 For him it is important that lessons are not limited to learning to ride but also to understand the needs of the horses. 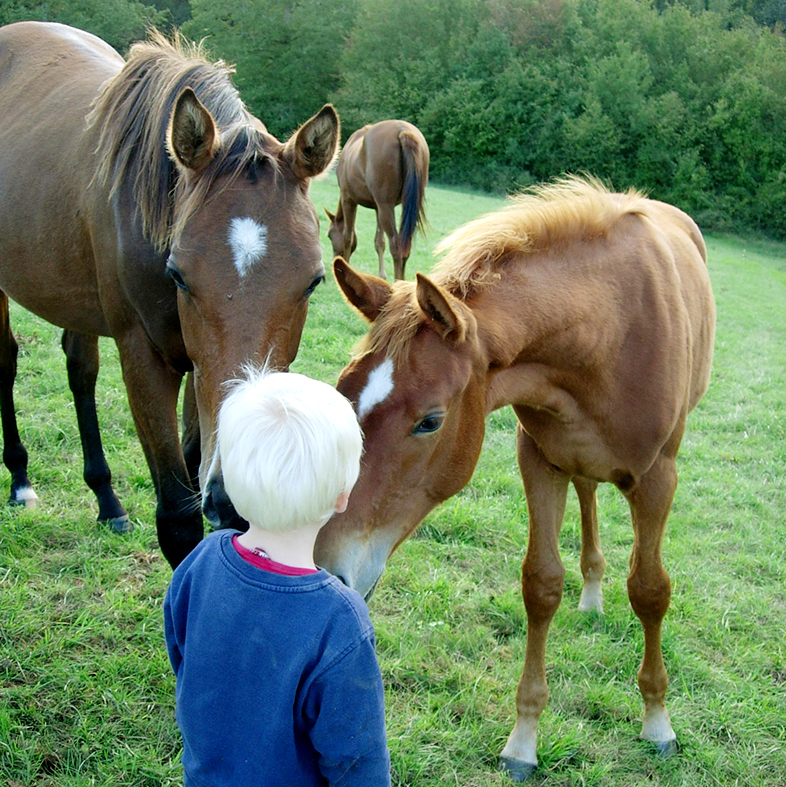 This is why he will immerse you in natural contact with the horses. Lessons or outings last 1:30 hour. because it is important to take time to learn. Preparation and grooming are not always at a fixed time so you can enjoy these privileged moments with your horse.